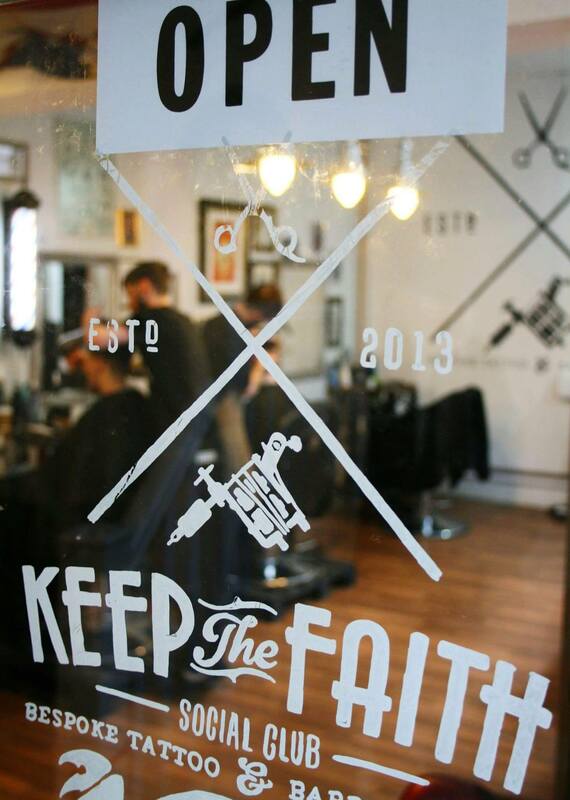 Multi-award winning tattoo artist Shaun “Von Sleaze” Gibbs launched flagship store, Keep the Faith Social Club, in November 2013 in the Morgan Quarter, merging his tattoo studio with a traditional barber shop – a combination which proved to be hugely successful. Very quickly Keep the Faith has created quite a fan base, with nearly 10,000 followers across their social media platforms. “Saturdays can get pretty busy, and the average wait for our clients is around 2 hours” says Shaun. Due to this high demand, Keep the Faith is expanding and have taken a larger unit opposite their current store, in the Royal Arcade. “The Morgan Quarter has a good independent feel about it, we wouldn’t want to be anywhere else.” Said Gibbs. “We’ve built up a strong, loyal customer base, mainly by word of mouth but it’s also important for us to be in a prime location so we continue to get walk-in appointments.” The new larger studios can now accommodate twice the number of barbers and will have stations for five tattoo artists, as well as an extended waiting area. With no down time, Keep the Faith will be closing the doors of their old unit on Thursday evening and will open in their new place the very next morning – and everyone is invited to pop in and have a look around, they’ll be open from 10am -7pm. “We are keen to support local businesses and champion independent retail in the Morgan Quarter, we’re delighted to see Keep the Faith doing so well” Rory Fleming, Centre Manager. Keep the Faith’s expansion bolsters the Morgan Quarter’s upmarket independent offering – with the likes of 31 The Store, Morgan Menswear and Uncommon Ground opening recently, the Morgan Quarter remains a must-visit destination for any quality-conscious shopper in Cardiff.